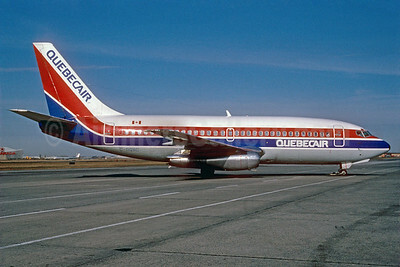 (formed through merger of Rimouski Airlines and Gulf Aviation) (QB/QBA) (Montreal) 1953 - 1987. Photos. Framable Color Prints and Posters. Digital Sharp Images. Aviation Gifts. Slide Shows. 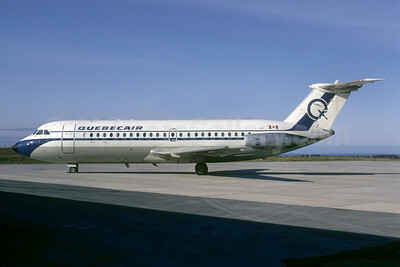 Quebecair BAC 1-11 304AX C-FQBO (msn 112) (Christian Volpati Collection). Image: 912179. 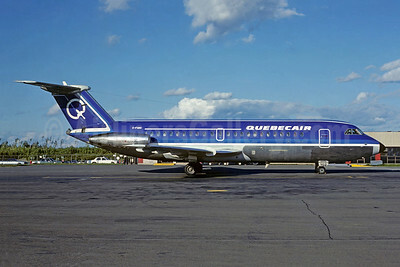 Quebecair BAC 1-11 402AP C-FQBR (msn 009) YUL (Pierre Langlois). Image: 912184. 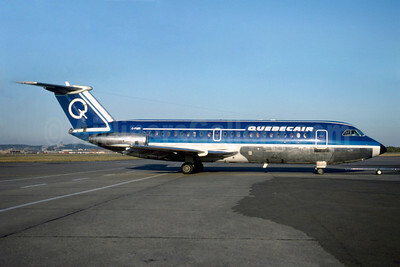 Quebecair BAC 1-11 402AP CF-QBR (msn 009) YYY (Bruce Drum). Image: 102855. 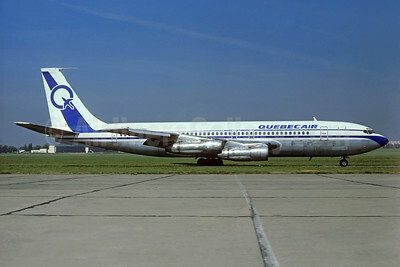 Quebecair Boeing 707-123B C-GQBG (msn 17647) LBG (Christian Volpati). Image: 902259. 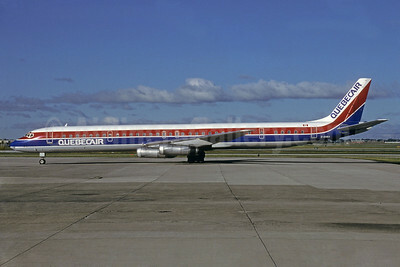 Quebecair Boeing 707-123B C-GQBH (msn 17650) LBG (Christian Volpati Collection). Image: 946187. 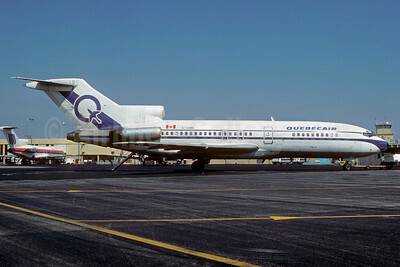 Quebecair Boeing 727-25 C-GQBE (msn 18970) FLL (Bruce Drum). Image: 102856. 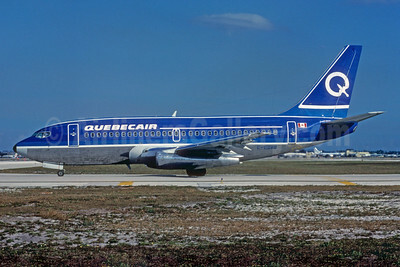 Quebecair Boeing 737-2L9 C-GQBQ (msn 22070) FLL (Nigel P. Chalcraft). Image: 912181. Quebecair Boeing 737-2Q9 C-GQBT (msn 21719) (TEA colors) MIA (Bruce Drum). Image: 102857. 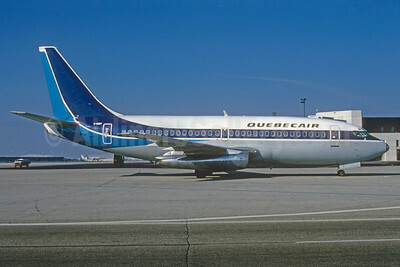 Quebecair Boeing 737-202C C-GQBC (msn 19426) YUL (Pierre Langlois). Image: 912180. 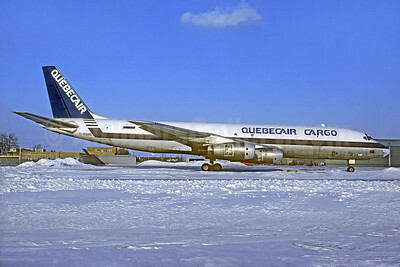 Quebecair Cargo McDonnell Douglas DC-8F-54 Jet Trader C-GQBG (msn 45860) YUL (Christian Volpati Collection). Image: 937924. 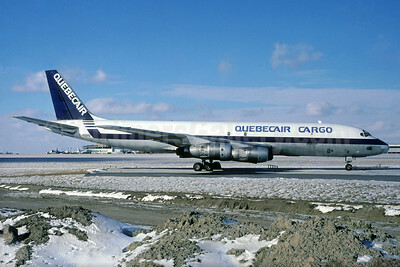 Quebecair Cargo McDonnell Douglas DC-8F-54 Jet Trader C-GQBG (msn 45860) YYZ (Christian Volpati Collection). Image: 937925. 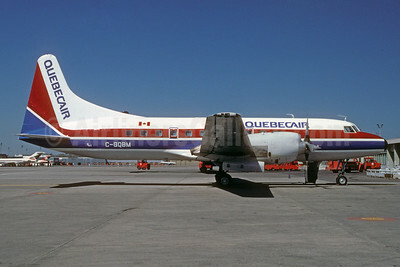 Quebecair Convair 580 C-GQBM (msn 49) YUL (Pierre Langlois). Image: 912182. 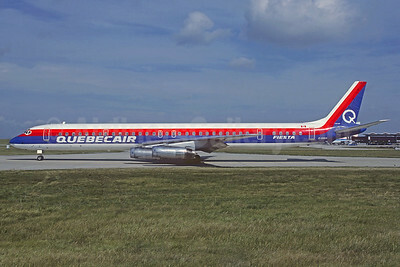 Quebecair McDonnell Douglas DC-8-63 C-GQBA (msn 46155) (Fiesta) ORY (Jacques Guillem). Image: 937848. 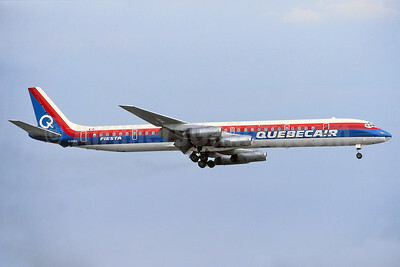 Quebecair McDonnell Douglas DC-8-63 C-GQBA (msn 46155) (Fiesta) YYZ (TMK Photography). Image: 937849. 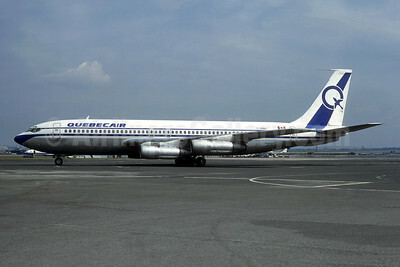 Quebecair McDonnell Douglas DC-8-63 C-GQBA (msn 46155) YYZ (Mario Mattarelli - Bruce Drum Collection). Image: 912183.